My ebooks are available on: Amazon, Smashwords, Barnes & Noble, Kobo, Apple, or your favorite online outlet. 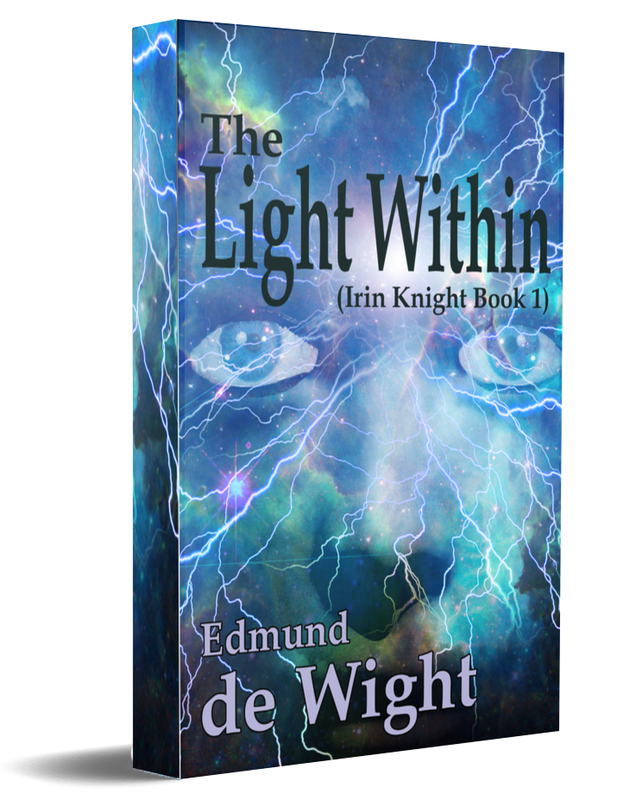 Faced by fanatical cultists and their deadly mechanical constructs Tagg must embrace his newfound abilities and Brenna must awaken her link to the Light or the cult will succeed in opening the gateway and our universe will be consumed. A fast-paced urban fantasy. Do you like fantastic adventures laced with magic and a touch of horror? This series combines the urban fantasy feel of the Dresden Files with a touch of the cosmic horror of H.P. Lovecraft. A crack commando unit died in battle and were resurrected against orders by a necromancer. Today they are hunted by the government and survive as soldiers of fortune. No job is too dirty, no threat too great. 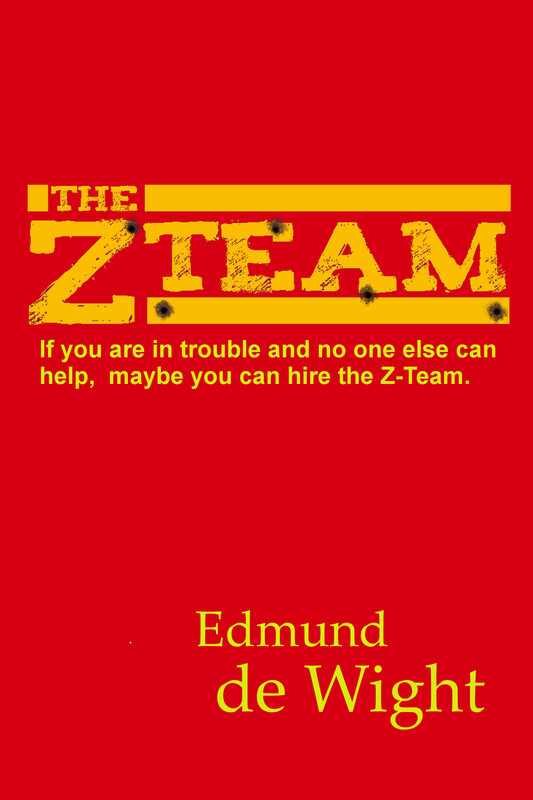 The Z-Team must drive them off or else the townspeople will be forced to sell their souls and the town will be damned. 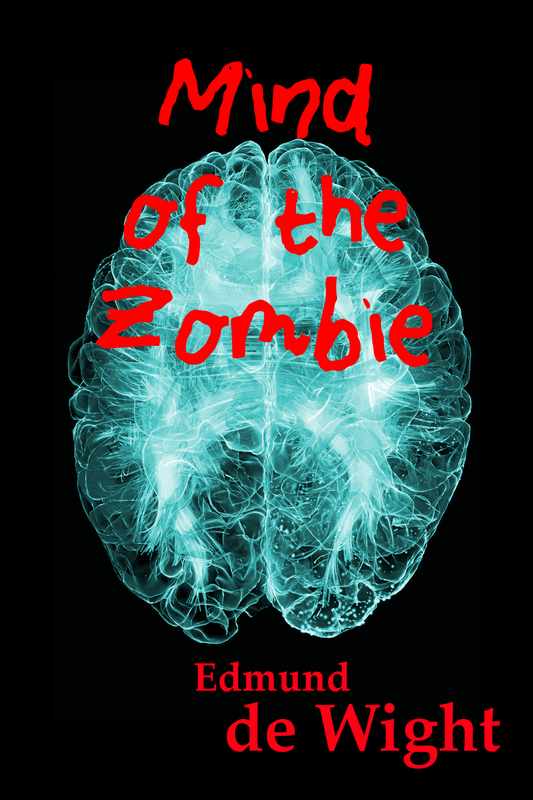 A short story of zombies, magic, and mercenaries. No time to read? Bite-sized flash fiction is the prescription. 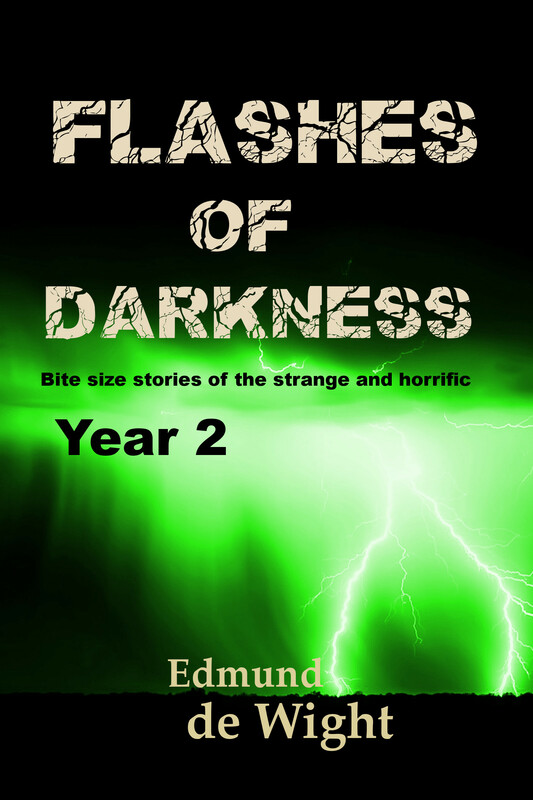 Year 2 of this collection brings you even more horrors and strange events to haunt your dreams. Ghosts, ghouls, demons, aliens, monsters and things that go bump in the night fill the pages of this volume. 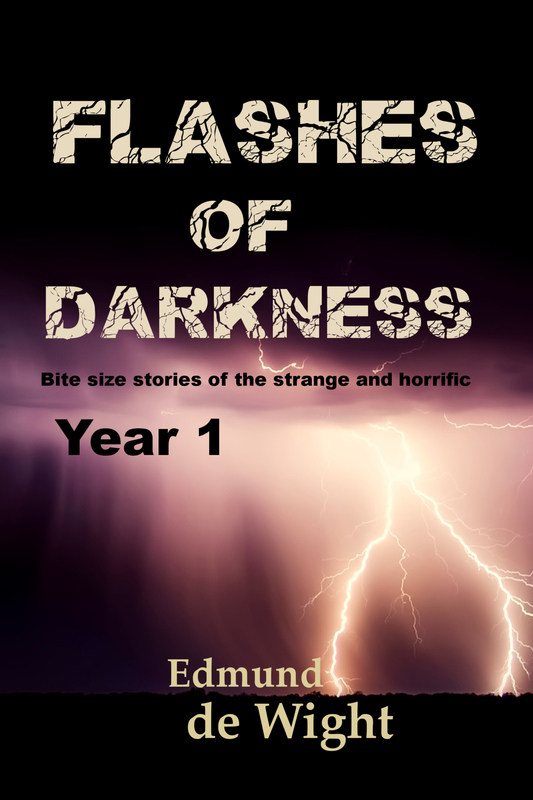 Each flash fiction story is the perfect prescription to fulfill your daily recommended quota for the strange and macabre. The zombies were dead – really dead this time. It is one year since the last zombie was reported to be destroyed and the world is slowly recovering. Demi is a survivor who harbors a dark secret. She lost her husband to the undead and will do anything to protect her young daughter. Neighbors and friends pry into her life, trying to learn her secret. To protect her secret and her daughter she will do the unthinkable. 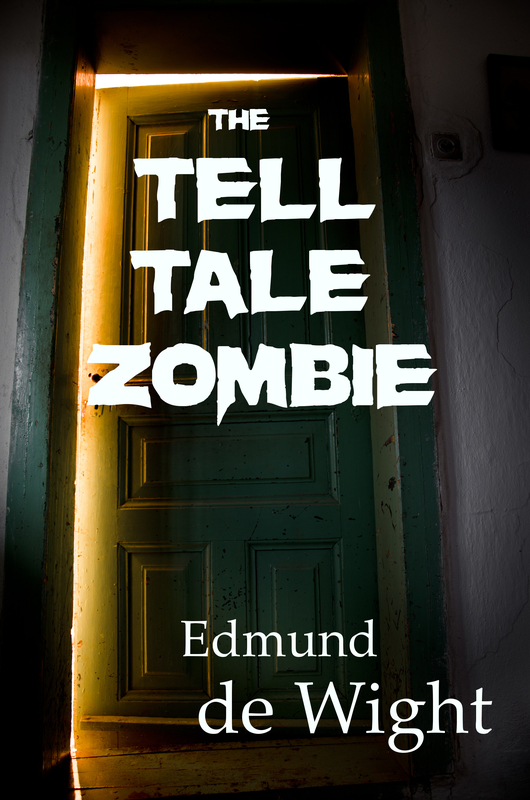 The Tell-Tale Zombie is a short story of survival in the aftermath of the zombie apocalypse. This isn’t your normal zombie story with rugged survivors battling hordes of undead in the streets. This story examines the human toll in a world where the line between life and death has become blurred. Its the zombie apocalypse like you’ve never seen it. First, he was being attacked by unending hordes of zombies who have destroyed his world. Next, he found himself trapped by unknown assailants and tortured with views of the outside world where zombies kill and maim before his eyes. Can he escape? Who has imprisoned him? It’s a zombie story unlike any other. You’ve seen shamblers, you’ve felt the terror of sprinters and rage zombies. Now, look into the mind of the zombie. Agent Emma Malbane has to deal with terrorists, a homicidal priest, race riots, and invading aliens. It’s just another day in the life of a Free Agent in the service of the Interstellar Trade Commonwealth..
Get ready for a thrill ride to the next frontier. Edmund de Wight takes you to the next frontier. Meet Free Agent Malbane. She’s a tough as nails government agent capable of doing whatever the mission requires. Her latest mission is to quell racial strife on the largest space station in the Interstellar Trade Commonwealth. The Human and Narath races have been at peace for over 300 years but horrific killings could spark a new race war. This should be a simple task for a seasoned professional like Malbane. But life is never simple – even for a Free Agent. Standing in her way are bureaucrats, terrorists, corrupt cops, religious zealots, a former lover and possibly the vanguard of an alien invasion. It’s high action space opera with the gritty feel of a spy thriller. Climb aboard and meet the new face of action-adventure in outer space. If you like the fast action of Jason Bourne or the military space adventures of Honor Harrington. If you love the high-speed thrills of the Aliens franchise, Spacefarer is the universe for you! 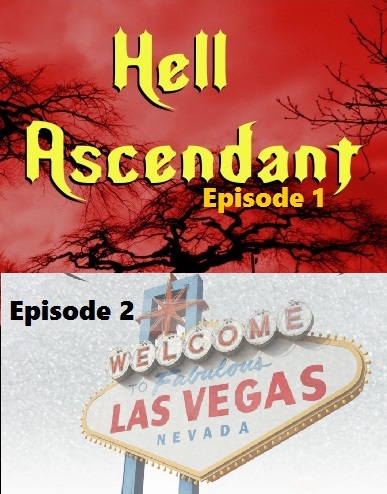 Episode 1 of this sprawling saga of Hell come to Earth follows Lucas Devereaux. Former soldier turned auto mechanic, turned apocalypse survivor, he leads a band of frightened men and women through Hell on Earth trying to stay alive in the changed world. He just has to survive hell hounds, demons, and the hatreds that humans still carry even after the world ends. When a demon demands a sacrifice of the survivors, will they betray one of their own or die? A tale of the apocalypse. Would you betray one of your friends to save the life of all the rest? According to legend, there are in each generation a few righteous humans who prevent the rest of us from being destroyed. Through their good deeds and their loving spirit, they save the world over and over again. They’re not famous saints. They go about their business anonymously, and no one knows how crucial they are to our well-being. When the apocalypse comes and Hell ascends to the Earth, they might just be the most important people alive. Can someone overcome a lifetime of fear and failure to finally become a hero when Hell comes to Earth? Krampus vs. Santa in a battle to the death! It is up to Santa and a young girl who is an unlikely hero to stop the rampage before more innocents die. Death is real either way. It starts with a nightmare more terrifying than anything he’s ever had. Soon, the monsters from his dreams are showing up in Alex Black’s waking world. He’s just an average teen caught up with avoiding bullies and finding a girlfriend. Is he going insane? When a car runs him down, Alex is propelled into a world he never knew existed. Trapped in the dream world, he must defeat powerful creatures of nightmare, protect those he loves and try to keep ancient monsters from destroying his body before he can figure out how to wake up. Do you like Halloween? Scary stories? Would you like to have some amazing cocktails to serve for this spooky season? Within you will find 31 spooky cocktails to set the mood for your October festivities. There are chapters on ways to make your cocktails spooky with garnishes, ice shapes and glassware. Each tale of the supernatural and macabre is accompanied by a drink to help you survive the ghosts and ghouls that stalk the dark October nights. Tales range from witches to ghouls, vampires to zombies, and ghosts to dread creatures from beyond the outer dark. NOTE: If you have already read Edge of Reality – these are the same stories but they have been paired with drink recipes for a new type of book. Thirty-four tales of the bizarre, horrific and weird await you within. A man battles the spirit world for the life of his wife. A religious artifact, more potent than the Holy Grail is the focus of a life’s quest. Witch doctor threatens the lives of the young. A warrior woman in a steampunk world battles ferocious creatures. A man attempts to raise a zombie army to rule the world. Jonathan Pettigrew, a Vegas magician whose career has taken a dive after the accidental death of his assistant. Things turn dark when he discovers a devil in a small Mexican town. He will travel far to gain true power, even at the cost of his soul. The Grinning One is an ancient demon, worshiped as a deity by some and feared universally by all. It is released into the world and the magician must learn how to control the evil one or die with the rest of humanity. Jonathan strives against other magicians and the demon in search of power, love and the meaning of his life. A novella of magic, horror and Faustian deals. An exciting romp into the dark side. A short story of the Geriatric Apocalypse. young adult horror fan this short story follows young Billy Cope a normal boy who’s grandmother is suffering from Alzheimer’s disease. One day she turns violent. She believes her family has stolen her memories. Soon everyone around Billy is turning old, even the little kid next door. Billy must survive this geriatric apocalypse and reach his girlfriend before she loses her youth to the spreading evil. It’s quirky, sometimes frightening, sometimes humorous. You’ll never pass a home for the elderly and feel safe again. Legends say that Roman Emperors have been brought to see the light or cast from power by its mere presence.